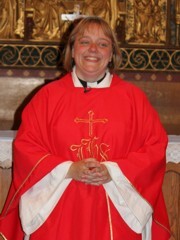 The Vicar of St Mary & St Laurence's church is The Reverend Rachel Gouldthorpe. The Churchwardens are Mr Andrew Johnson and Mrs Jill Smith. To contact the Vicar or Churchwardens please send us and email using the form opposite or telephone Revd. Rachel on 01246 824 888.